Family camping is all about fresh air, toasting marshmallows, exploring a new area and spending time together. Stay at The Secret Campsite Beech Estate and you can enjoy all this and more. It’s our biggest and most spread-out campsite and is situated on the edge of a 600-acre woodland. You can pitch your own tent here or choose a bell tent among the trees. 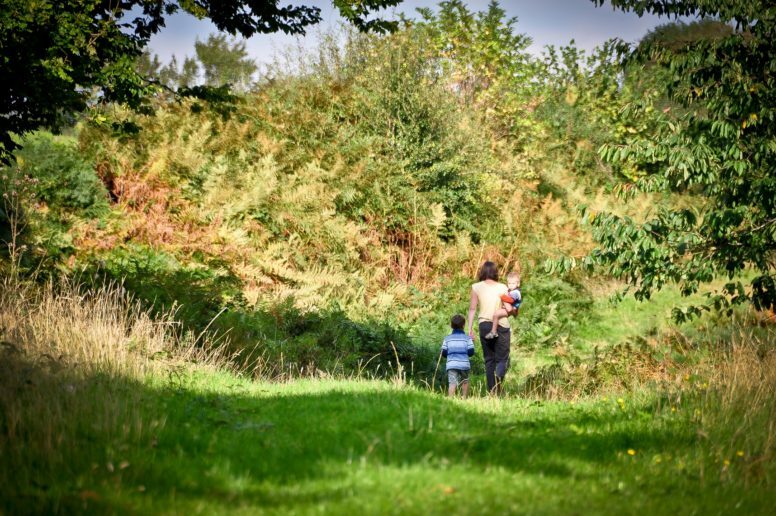 Either way you’ve got acres to explore for den-building, games of woodland hide-and-seek, wildlife spotting and more. And there are plenty of family-friendly attractions nearby too. Cars are kept separate from the camping area at The Secret Campsite Beech Estate. This means the woods are vehicle-free so you can enjoy the space without worrying about moving cars. It also means your adventure begins with a walk along our forest pathways but don’t worry we’ll point you in the right direction and let you use our wheelbarrows too! We always advise arriving during daylight if you can – anytime after 1pm for campers and 3pm for glampers is fine by us. This leaves time for a bit of woodland exploration and maybe a spot of den building before dinner. As dusk approaches you’ll want to get your campfire going so you can cook your first campfire food. Before bedtime, leave time for the family camping tradition of toasting marshmallows on the campfire! Your second day on site is a great time to get out and explore the area. The woodland at Beech Estate stretches across 600 acres. You may be content to stick to its paths and tracks for a full day of woodland exploration. 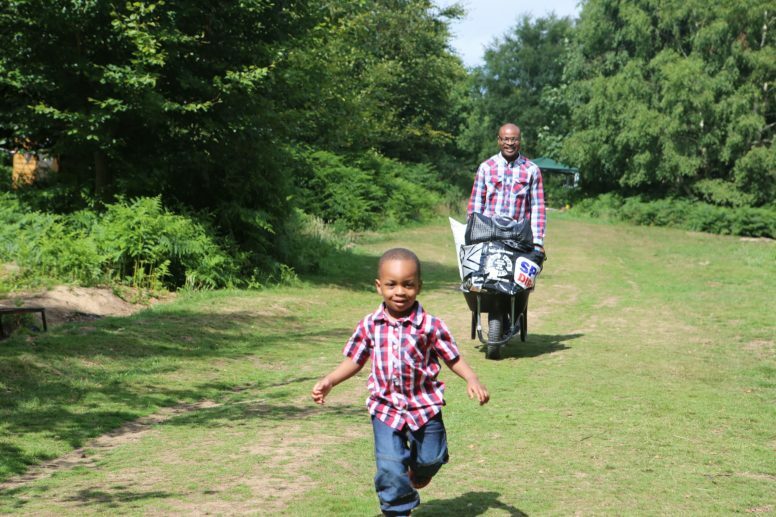 Older kids and adults might enjoy mountain biking through the undulating woodland. Younger kids can try their luck at bug hunting and den building. And there’s wildlife watching and walking or running for everyone. If you fancy lunch out, there are three local pubs: The Squirrel, The White Hart and The Netherfield Arms which can be reached by walking through Beech Estate. If you fancy getting out a bit further afield, the historic town of Battle is just a couple of miles away. 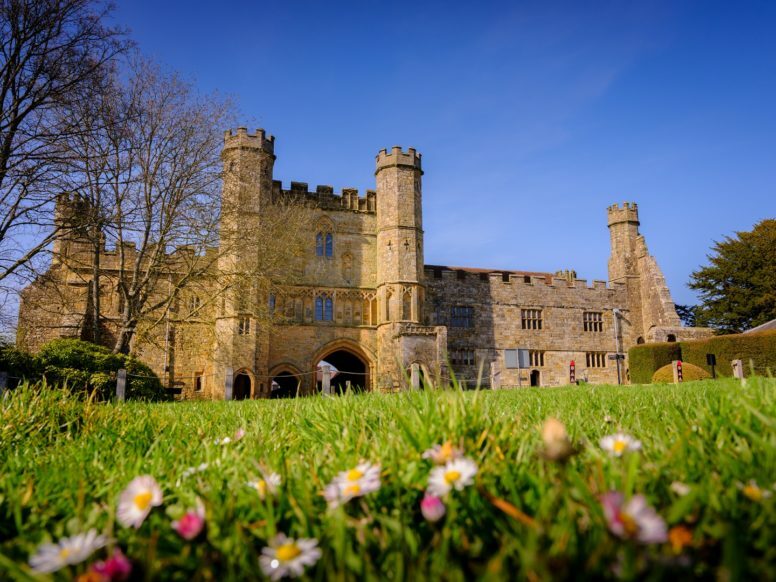 Here, you’ll find Battle Abbey: the site of the 1066 Battle of Hastings and associated abbey. Managed by English Heritage, the site has family-friendly exhibitions, displays and activities. It’s one of the most popular tourist attractions in the area. Whatever you decide to do, you’ll be glad to get back to your pitch or bell tent after a day of exploring. By this point you’ll have mastered the art of the campfire and cooking up another campfire dinner should be easy! Finish the day with a spot of stargazing. If you’ve only managed to squeeze in a weekend’s worth of camping, your second morning will be your final one on site. If you’ve been staying in one of our pre-erected bell tents, the pack-down is one stage easier as you’ll be leaving the tent behind! Either way, the great thing about camping and glamping in the woodland is that you can enjoy it from the moment you wake up. 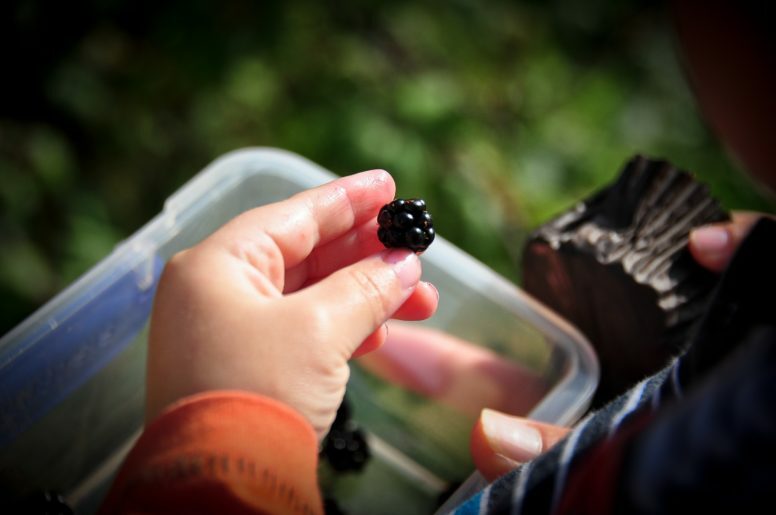 Your kids can watch wildlife or perhaps forage for blackberries to take home while you pack up your gear. We ask campers and glampers to leave by 11am, but why not make the most of your time in the area? You could head off on a(nother) family walk. Perhaps you’d like to head for the seaside at Hastings or one of the other beaches within a short drive of the site. And there’s always the Observatory Science Centre, a few miles away in Herstmonceux. If your kids have enjoyed stargazing while on site, this is the perfect place to visit before your journey home. The lucky campers and glampers are the ones who book family camping trips over a Bank Holiday weekend or for three nights or more. 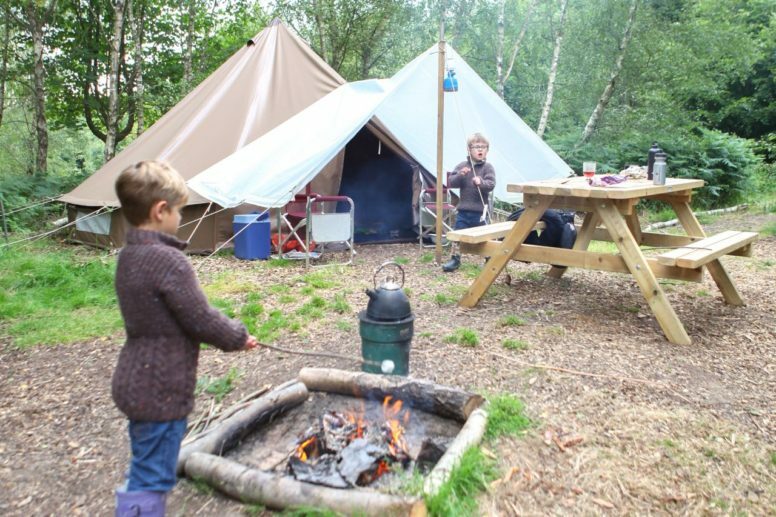 You’ll be able to return to site after your second day out for more woodland fun and campfire dinners!